Attraction & Points of Interest "Reviews,"
+ Some new Nebraska Travel Video Clips! Why a Nebraska Travels & Vacation Guide Site? Ever been traveling in an area with a spectacular area attraction like for example Pikes Peak, and ask a "local" Denver resident about it and get the reply - "I don't know - I've never been up there." 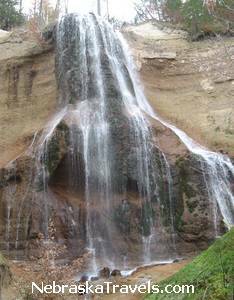 - a Nebraska Travel "Must See"
Many great Nebraska Scenic, Geologic, and Historic Attractions are the same way. Many of the "local" Nebraska residents have never bothered to check them out -- or they just take them for granted. My Wife and I live in eastern Nebraska, and were guilty of this attitude regarding travel in the western Nebraska Sandhills area and attractions for many of the past 40+ years. My wife is actually a Nebraska Native so has 55+ years in NE -- she wouldn't want me to say how many years the "+" represents! I'm an Nebraska "import" of over 40 years. We had "detoured" off the Interstate up to Scottsbluff on the way to the Rocky Mountains from our home of 30+ years near Lincoln, NE to briefly see Chimney Rock, Courthouse Rock, and the Scottsbluff National Monument. We had even taken a quick trip on up to Historic Fort Robinson State Park and done a "drive-thru" of Chadron State College and the Nebraska National Forest when our boys were in their early teens. 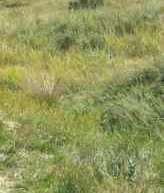 But we had never really slowed down and checked out the western Nebraska Sandhills and great Sandhills area attractions. We have talked to many others in eastern Nebraska who have not "toured and viewed" the nearby western Nebraska Sandhills or checked out the attractions in western Nebraska - but they, like us, have been to Disney World more than once. The "vacation grass" always looks "greener" further away from home! For example, until recently, we had never driven "leisurely" through the beautiful and peaceful northwest Nebraska Sandhills on scenic Hwy 2 which runs along a branch of the Loup River for part of the way -- and through some spectacular Sandhills cattle ranch grassland country with many interesting windmills. 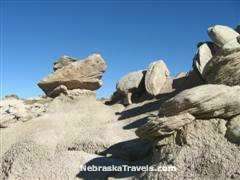 We had never hiked the spectacular and interesting Toadstool Geologic Park near Crawford west of Chadron, NE -- a definite Western Nebraska Travels "Must See!" (11/2/06 - We now have a Toadstool Geologic Park Page with several photos.) Our boys had canoed the Niobrara River with their Boy Scout Troop, but my Wife and I had never really stopped to explore and view it beyond a few Niobrara River "drive-by's" or "drive-overs" during travel on other road trip vacations. We also had previously not driven across the northern edge of Nebraska on Scenic Hwy 20 thru Chadron and Valentine, and Scenic Hwy 12 on east near the Niobrara River and travel on thru Niobrara, NE. -- an enjoyable and peaceful northern Nebraska Sandhills drive. We also recently checked out both the Missouri River and the Niobrara River from several scenic overlooks where they come together along the edge of Niobrara State Park near Niobrara, NE. Spectacular views! - watch for pictures to come here. -- A Historic Lighthouse in Nebraska?? We had focused on Florida and other US ocean Beach Vacations with the Boys using some Cocoa Beach Time shares we got 30+ years ago, and almost always traveled "away from" Nebraska on our family vacations. Had done some eastern Nebraska travel, but had previously really missed out on many of the really great things to see and do in the Western Nebraska Sandhills. This Nebraska Vacation Guide web site is the result of my Wife and My attempt in recent years to "catch up" on the beautiful and interesting Scenic, Geologic, and Historical Attractions in Western Nebraska and the Nebraska Sandhills -- along with some "reviews," Tips , and pictures from some our Nebraska travels over the years to "closer to Lincoln and Omaha" Attractions and Points of Interest in Eastern Nebraska. On our recent travels to the Western and Northern Nebraska Panhandle and the Sandhills, we have tried to read every Historic Marker, visit every area State and National Park, and view every marked and unmarked Scenic Overlook -- and take LOTS of digital pictures -- many to be posted here! We'll even have a few scenic video clips and some "panorama" scenic Nebraska photo shots. This site will have our Nebraska Travel "Discoveries," along with our "Reviews," time needed to view, and Tips on "Must See" great Attractions. Also a few comments on some "not-so-great" attractions, lodging, or restaurants -- so you won't have to waste your time or money like we did on a few occasions. We also will be adding some special affordable Nebraska Travel and Vacation Discount Tips for the Over 55 - "Seasoned" Travelers Set, since we have been part of that growing Travel crowd for several years. We have discovered some money-saving Tips to share from our experiences with Nebraska Travels. A listing of some of the pages on this Nebraska Travels Site now, plus some of the pages and pictures to come are in the Menu listing to the left. More are being added as we complete new page additions that we think will be interesting to our Site visitors -- especially topics that we currently have pictures for since this is a "picture enhanced" Nebraska Vacation and Travel Site. We took over a thousand pictures + a few videos from our last road trip vacation through the Nebraska Sandhills and the Western Nebraska Panhandle, so we have a "few" pictures from that trip and others to choose from to use here. See these High Resolution Photo Preview pages for popular non-watermarked high resolution photos from all 4 of our "Picture Enhanced" US Vacation Guide Sites. Free "Comp" Image downloads are available. TravelPhotosUSA.com now forwards to our new Photo Downloads Site Gallery. TravelPhotosUSA - Digital Photo Downloads Gallery - Scenic US Travels and USA Vacations -- To our new US Travel Photos - USA Vacations - Digital Photo Downloads Shop! -- Photos of Scenic US Vacations & Beaches, Historic US Lighthouses, and USA Vacation Attractions by Gene Seecann. 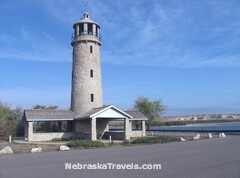 Includes Nebraska Travel and Attractions Photos. Thanks for dropping by -- come back and visit us soon to plan your next Affordable Nebraska Travels -- or to check out our latest Nebraska Picture or Nebraska Video additions! 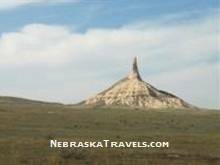 To top of this page - Affordable US Nebraska Travels - Home page - Your Insider Nebraska Vacations Guide + Western Nebraska Sandhills, Grasslands, and Badlands Attractions with Nebraska Travel "Reviews" - Tips - Discounts & Pictures - "Tips to help you Plan & Save + Pictures to help you Dream"